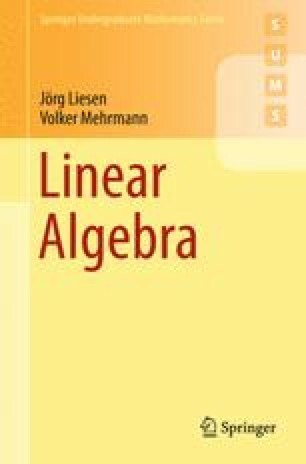 In previous chapters we have already studied eigenvalues and eigenvectors of matrices. In this chapter we generalize these concepts to endomorphisms, and we investigate when endomorphisms on finite dimensional vector spaces can be represented by diagonal matrices or (upper) triangular matrices. From such representations we easily can read off important information about the endomorphism, in particular its eigenvalues.